We Drink Your Milkshake! 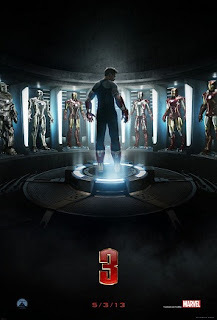 : IRON MAN 3 Trailer Drops! I'm holding my reservations because of the atrocity of IRON MAN 2, but I am digging the darker tone this trailer is projecting. Also, Ben Kingsley looks absolutely menacing as The Mandarin. This seems to be a step in the right direction for the franchise, and bringing the archenemy of Iron Man will hopefully recapture some of the life the original had.